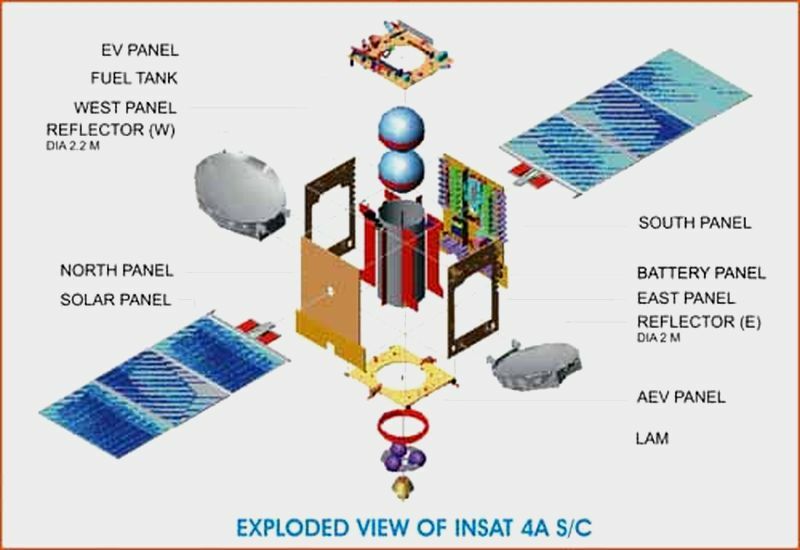 INSAT is acronym for Indian National Satellite and is a general term for a series of multi-purpose geostationary Indian satellites launched for use in the areas of telecommunications, broadcast/telecast, meteorology, detection and rescue operations. INSAT is considered as one of the biggest domestic communication systems in Asia Pacific region. It is the joint collaborative effort by the Department of Space, Department of telecommunications, All India Radio and Doordarshan (the national television network of India). Highly Elliptical Orbits with a high degree of eccentricity and path stretching to interplanetary regions. The primary objective of the INSAT system was to acquire self-reliance in the field of communications through satellite. Out of the 19 satellites built by India, nine are currently operational viz., INSAT 2E, INSAT 3A, 3C, 3E, INSAT4A, 4B, 4CR, GSAT-2 and Kalpana-1. All these functional satellites have been catering to the national requirements of telecommunications, telecasting and radio broadcasting and rendering meteorological services. Taking cue from the earlier satellites running successfully, ISRO has intensified in upgrading the ensuing versions of INSAT by developing transponders with S, C, extended C, Ku and Ka frequency bands. The communications satellite Gsat-17 was launched from French Guiana spaceport in the South American continent on 28th June 2017. The design and development of the satellite was done by Space Application Centre of Indian Space Research Organisation. The satellite had a lift mass of 3477 kilograms which was considered as the heaviest for any Indian satellite at the time of its launch. 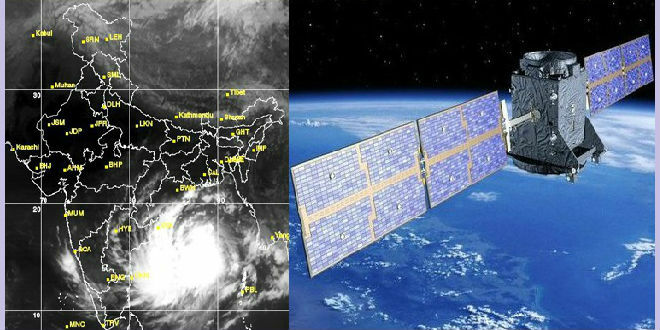 GSAT-17 has carried payloads in Normal C-band, Extended C-band and S-band to provide diverse communicational services. The satellite was designed to have an in-orbit life of 15 years. The augmented capacity was to ensure to extend the horizon in mobile satellite services and to regions in Antarctica. Again from the same French spaceport of Guiana, GSAT-31 was launched successfully on 9th February, 2019 by the launching vehicle Ariane 5 VA-247. The launch mass of the satellite was 2536 kilograms and the main purpose of GSAT-31 was to extend continuity in the services of telecommunications rendered by its predecessors in orbit. The designed in-orbit lifetime of GSAT-31 too is slated for 15 years. The main objective of communication satellites of INSAT series and GSAT was focussed on peaceful purposes like maintaining and improving civilian lifestyle of the country. Use of state-of-the-art satellites speaks about the status of human civilization in the 21st century. The convenience and comfort with which human lives get carried on are inherently dependent on the scientific progress. The collateral technical experience gained during various launches would add to the basic work for research purposes.